Sometimes you just need a quick and easy holiday recipe and this one is it! 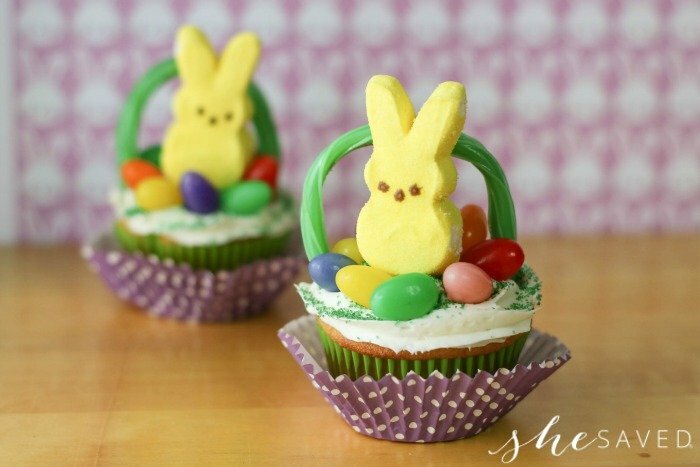 Make these easy Easter Basket Cupcakes with Peeps for your Easter gathering or classroom party OR they also make a wonderful group activity for the kids! Regardless of the event, they are fun and affordable to make and super yummy to eat! 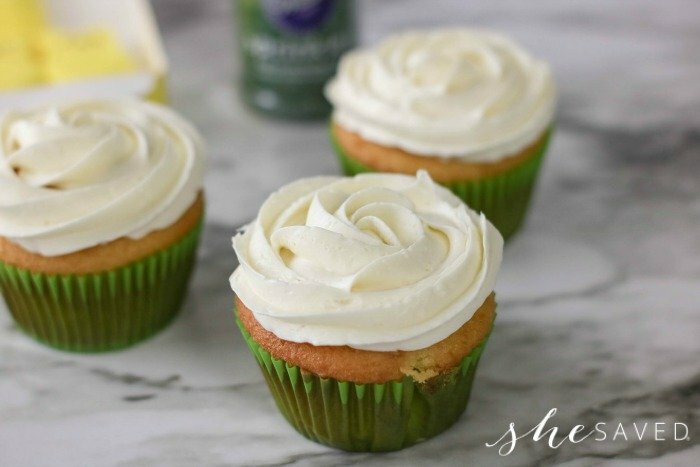 I love recipes like this because they work in a pinch and you can make them using pre-made cupcakes – or even pre-made and frosted cupcakes, depending on the size of the pinch you are in! 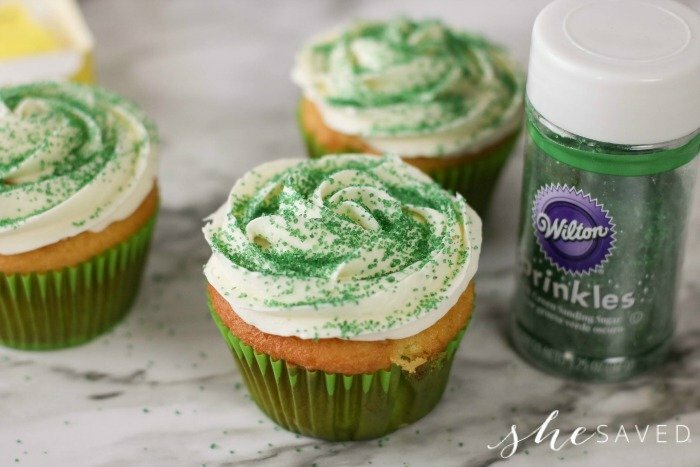 This is also a wonderful recipe activity for young kids to make because there is no baking involved if you use pre-made cupcakes and it’s a great way for them to use their creative skills in the kitchen. Pipe a single layer of frosting over the cupcake. Sprinkle with decorative sugar. with one end on each side. 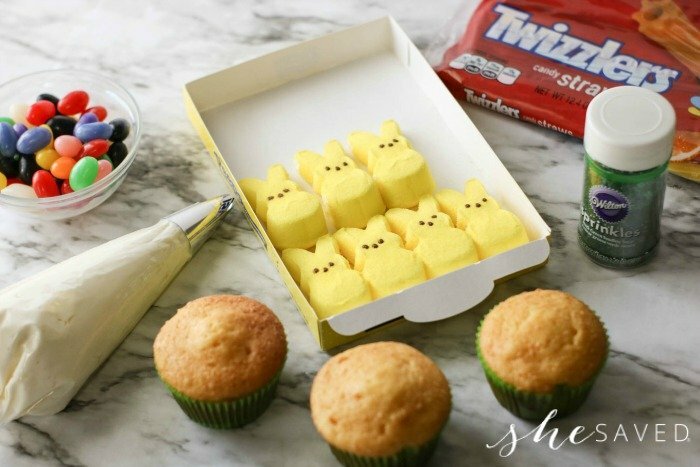 Press a Peeps Marshmallow Bunny into each cupcake in front of the Twizzler. Add jelly beans around the bunny. As mentioned, this is a great Easter activity for little ones. Depending on their age and ability, you can adjust the activity to their skill level. If you are working with preschoolers, you might turn this into a fun learning activity by having them count out the jelly beans or sort them into colors. 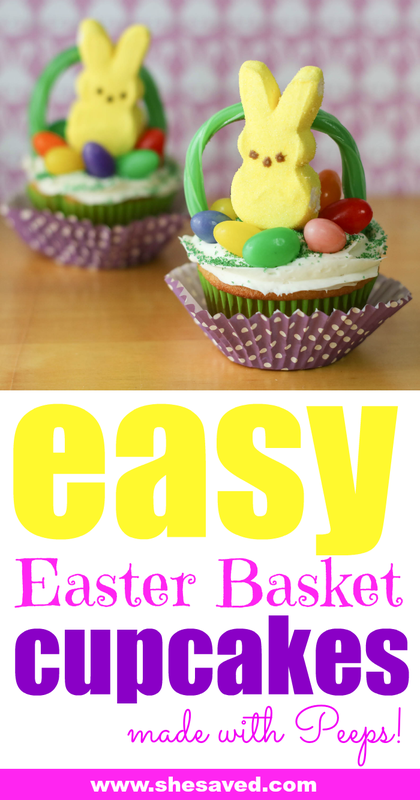 For kids a bit older, you might have them earn the different parts of their Easter basket cupcake by answering math questions or reaching reading goals. If you are hosting an Easter event or Sunday School class, this might be a fun activity for the kids to make and share with others. There are so many possibilities with these types of treats. I love that this is one that fits many budgets. If are are doing this one as part of a group activity, each person could be assigned to bring a different candy or ingredient. Isn’t the finished product so cute? I’m loving the bright springy colors! These just look like a treat that the little ones are going to have so much fun making, sharing and eating. If you are doing an Easter egg hunt, maybe you could fill eggs with the different toppings that go on the cupcakes. 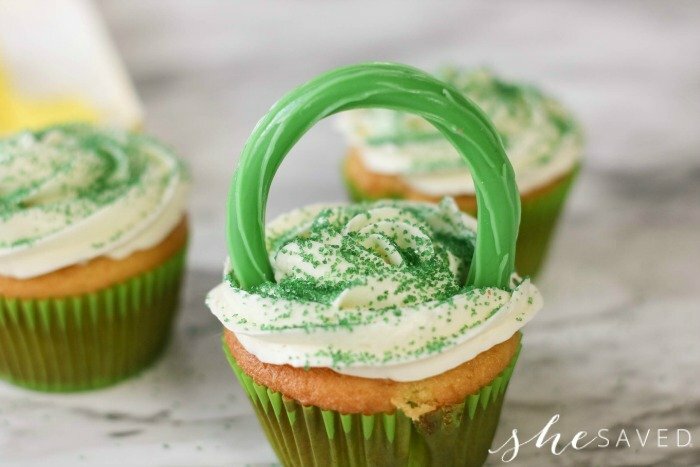 Have the kids come back and decorate their cupcakes with the items that they found in their eggs! How fun would that be? I think the main goal of all holiday functions is to celebrate the season and our time with each other, and this is a very simple and affordable (and yummy!) way to do just that! 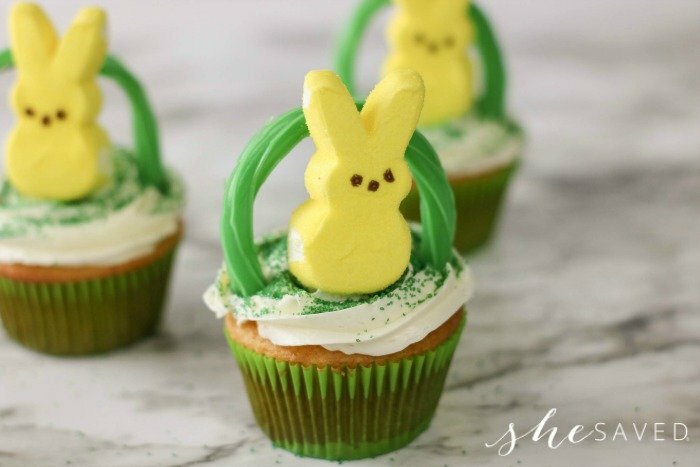 If you want to make complimentary Easter Peep chick cupcakes, then make sure to check out my other peeps cupcake recipe which is even easier than this one! Another of my very favorite Easter treat recipes are these Easter Baby Chick Cookies that would also go well with these peep cupcakes. I’m pretty fond of Easter and the festivities that go along with it, so make sure to check out all of the Easter ideas that I’ve shared on the blog throughout the years! 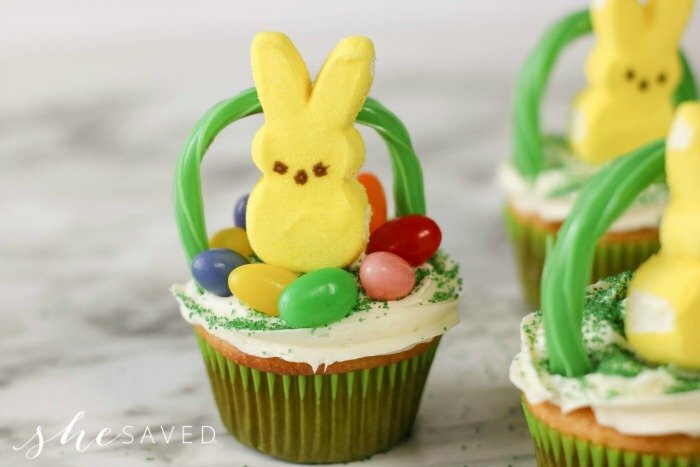 Enjoy these easy Easter bunny cupcakes made with Peeps!